It’s been a long time, But I’m back and better than ever. For many weeks, I provided you with practical suggestions for READS, LISTENS, LEARNINGS and REVIEWS. 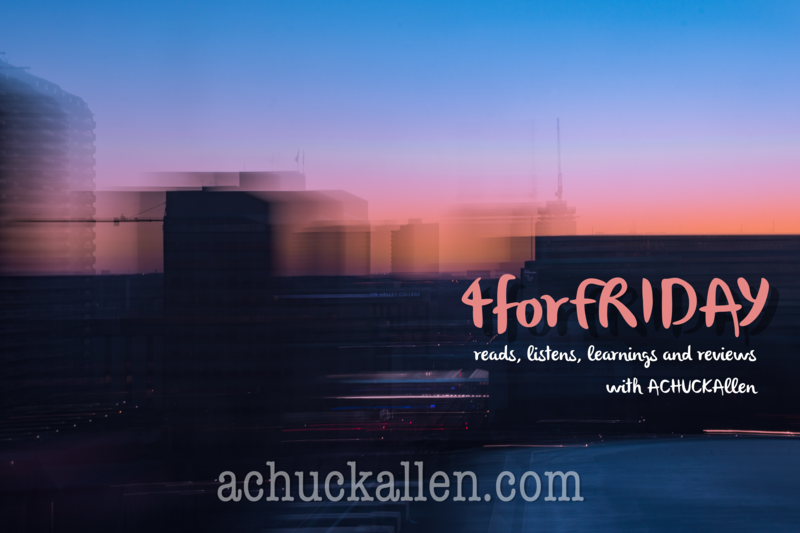 Today is the first 4forFRIDAY that I’ve published in several weeks, but thanks for welcoming me back. The story of Justice Ruth Bader Ginsberg was a good film. Regardless of which side of the aisle that you sit on, this was a great story. It’s been argued in several media outlets that this story has large gaps of fabricated indulgences with the truth, but I didn’t view it as a political biopic, I saw it as a great story. If you can set your political pitchforks down long enough to enjoy the story, you’ll dig this film. Rebels have a bad reputation. We think of them as troublemakers, outcasts, contrarians: those colleagues, friends, and family members who complicate seemingly straightforward decisions, create chaos, and disagree when everyone else is in agreement. But in truth, rebels are also those among us who change the world for the better with their unconventional outlooks. Francesca Gino, a behavioral scientist and professor at Harvard Business School, has spent more than a decade studying rebels at organizations around the world, from high-end boutiques in Italy’s fashion capital, to the world’s best restaurant, to a thriving fast-food chain, to an award-winning computer animation studio. In her work, she has identified leaders and employees who personify “rebel talent,” and whose examples we can all learn to embrace. A friend suggested that we watch the Masterpiece Theatre creation of this series about a returning British soldier following the Revolutionary War to Cornwall. I’d never thought of what England must’ve been like following their loss to the upstart Americans before. This story has all the drama of what you would expect from Masterpiece and PBS, but it also has enough action to keep me captivated. I thin k you’ll like it! I love this new spot in the brand new Downtown Sugar Hill District! Coffee was great and the atmosphere was very hip. I enjoyed the soup and the quiche and my friends sandwiches were awesome! You’ll love this place, really!